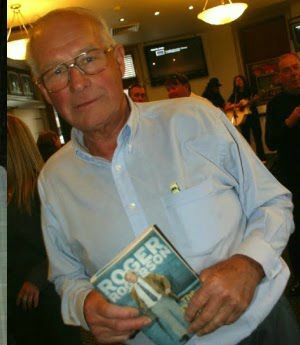 Just a few weeks after his portrait was chosen winner of the Archibald Portrait Prize high profile barrister Charles Waterstreet (below left) has had to withdraw from the drugs and murder trial involving former policemen Roger Rogerson (below right) and Glen McNamara who are accused of murdering Jamie Gao. The trial will now take place early in 2016. He withdrew apparently after a series of social media posts appeared under his name but whether they were actually by him is still a mystery. Waterstreet makes regular appearances on the Sydney social circuit, has written several books and in his spare time is a film producer and script writer. He produced the 1986 film Howling 3 and is the inspiration behind the successful ABC series Rake which has also been picked up by US television. Waterstreet is also a columnist for the Sun Herald newspaper and a Facebook pal of Whispers, known for his often witty posts. Sadly, he has gone a bit silent over the past fortnight. Meanwhile former blogger Lisa Stickbridge has been jailed for 2 and half years after being busted in a drugs sting. Whispers often spotted Stockbridge at Sydney parties and was always slightly puzzled about how her blog supposedly profited. We better than anyone know how difficult is to make any website even pay for itself and view it as a...public service?. The schadenfreude shown by some social writers over Stockbridge's jailing has been a bit over the top though. Not mentioned of course is just who are the high profile customers who indulge in cocaine and the sort of drugs that were supplied by Stockbridge which she dealt out of a luxury Range Rover. Do we know? If so we aren't saying. 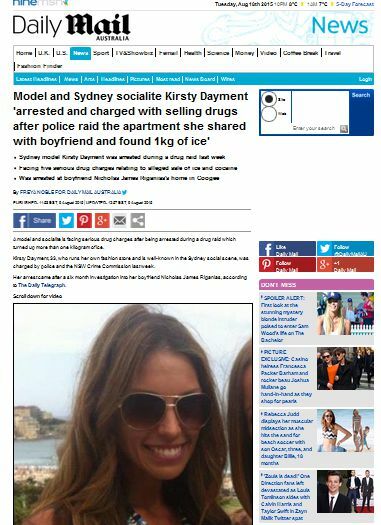 But the strangest report must be from the world's worst best tabloid the Mail Online and their claim that a Coogee model Kirsty Dayment was a "socialite". Shurley Shome Mistake as the UK satirical magazine Private Eye would say. Other newspapers echoed that the claim the model was a "fixture" on the social circuit. Not in the ones we mix in. But maybe her alleged customers are.